Amanda Stern-Pirlot, Director Fishery Certification Division - MRAG Americas, Inc.
Ms. Stern-Pirlot is an M.Sc. graduate in Marine Ecology and Fisheries Biology from the University of Bremen, Center for Marine Tropical Ecology (ZMT). 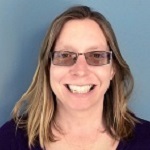 Ms. Stern-Pirlot joined MRAG Americas Inc. in 2014 as Fisheries Certification Director, based in Seattle. She leads the division responsible for the Marine Stewardship Council (MSC) certification program including pre-assessments, full assessments, fishery improvement projects and other fisheries certification activities. Throughout her career, she has worked with many scientists, conservationists, fisheries managers and producer groups on international fisheries sustainability issues. With the Institute for Marine Research (IFM-GEOMAR) in Kiel, Germany, she led a work package on simple indicators for sustainability within the EU-funded international cooperation project INCOFISH. This was followed by 5 years in the Standards Department at MSC in London developing standards, and policies and assessment methods informed by best practices in global fisheries management. In the US, she was Resources Analyst of the Alaska pollock industry in the North Pacific Fisheries Management Council focusing on bycatch and ecosystem-based management issues, and managing the operations of the offshore pollock cooperative. She has co-authored publications on fisheries sustainability in the developing world and the functioning of sustainability standards as an instrument for transforming fisheries to a sustainable basis.